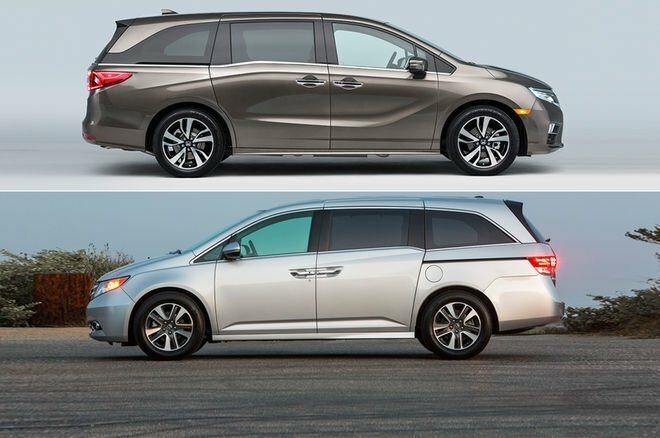 2019 Honda Odyssey Is Better Than EVER! Every year Honda comes out with something bigger and better. The 2019 Honda Odyssey is a prime example of this. 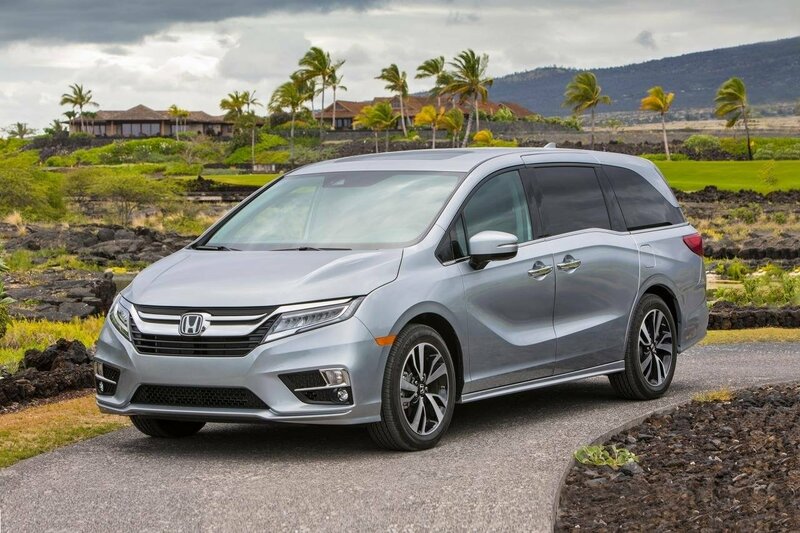 The 2019 Odyssey is not your ordinary minivan. In fact, It will change your mind about what you thought a mini van is all about. When you think of a minivan your first thought is soccer mom! Well not anymore, Honda has made sure to make this van the coolest minivan you’ll see! Compared to last years model, this Odyssey blows it out of the water. By the end of this article you will be itching to have one. The Honda Odyssey is the first minivan to have a 10 speed transmission but this is only available in the top trim levels. When purchasing a 2019 model Odyssey, no matter what trim level you end up getting your Odyssey will be equipped with a 3.5 liter V-6 engine. This will make the Odyssey have 248 horsepower to about 280 horsepower which is impressive in itself! Thanks to Honda, it will shed about 100 pounds which will boost the fuel economy! 19 city/28 highway/22 combined mpg rating for LX, EX and EX-L models with 9-speed automatic transmission. 19 city/28 highway/22 combined mpg rating for Touring and Elite models with 10-speed automatic transmission. Honda has literally thought of everything when it comes to this stylish minivan! Honda wanted to make driving with your kids a little bit more easier on you. So Honda has came out with something called ‘Cabin Watch’, which is in fact the only minivan to have one! There is a camera placed in the rear entertainment system, that will turn on with a push of a button so that you can view it on your 8inch touchscreen audio system! 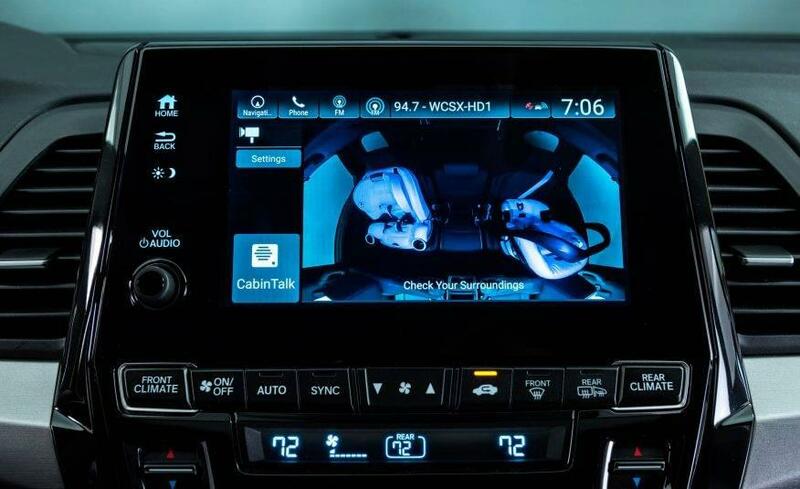 You are able to pinch and zoom in on the screen to geta better look of your backseat passengers! Have you’ve ever been in a position where your kids or friends are in the back watching a movie while you are driving and you want to get their attention, but they can’t hear you because of the headphones they are using to watch a movie? Well, with the new 2019 Honda Odyssey that will change! A new feature has come out called ‘Cabin Talk’! 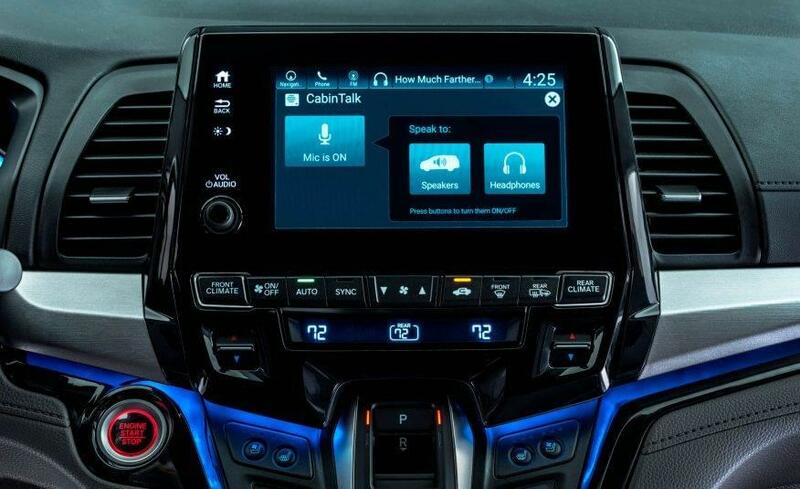 ‘Cabin Talk’ allows you to speak into the microphone, which your backseat passengers can hear in the headphones while they are watching a movie and even in the rear speakers! The rear entertainment center now comes with a 10.2 inch screen which now streams Spotify, iHeartRadio, and PBS Kids with the help of a new 4G LTE Wi-Fi connection. Interior Gets Even Better, Magic Seats Say What? Not only do you get a stylish 8.0 Inch touchscreen audio system, you are able to customize it! You can drag and drop icons around to make a shortcut menu, so you can have your most used apps all in one place! Did we mention that the rear seats are now heated? Yep thats right! Even the steering wheel is heated and front seats! The Odyssey now has a wireless charging station for your phone which is newly available. The Odyssey now comes with something Honda likes to call “Magic Seats”. “Magic Seats” is here to make moving around the backseats easier all with a push of a button! You can now slide seats around and maneuver them side to side to wherever you like to make getting in and out of the backseats possible! -The efficiency of the powertrain package, as well as a new active shutter grille and a lighter and more aerodynamic vehicle overall. -The sliding door tracks hidden in the lower portion of the rear quarter windows. -The Odyssey has C-shaped taillamps, a floating D-pillar, and larger wheels and tires than the 2016 Model. 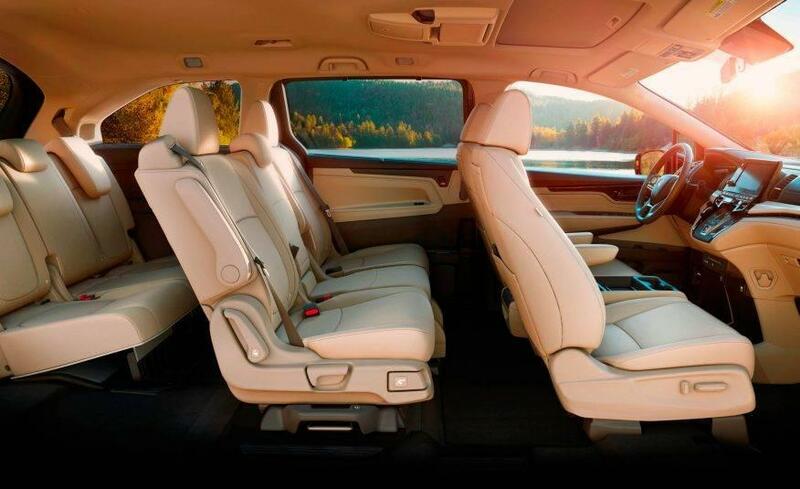 -Rear seats that fold flat for that extra cargo space. -10.2-inch entertainment screen from the ceiling for kids in the back rows to live-stream entertainment through Wi-Fi or cellphone data. -“Are we there yet?” app, so kids can gauge how much farther. -CabinControl app lets you control key vehicles systems, audio, and rear entertainment systems with a smartphone. -Sound-deadening materials were used with the goal of creating the quietest cabin in the segment. 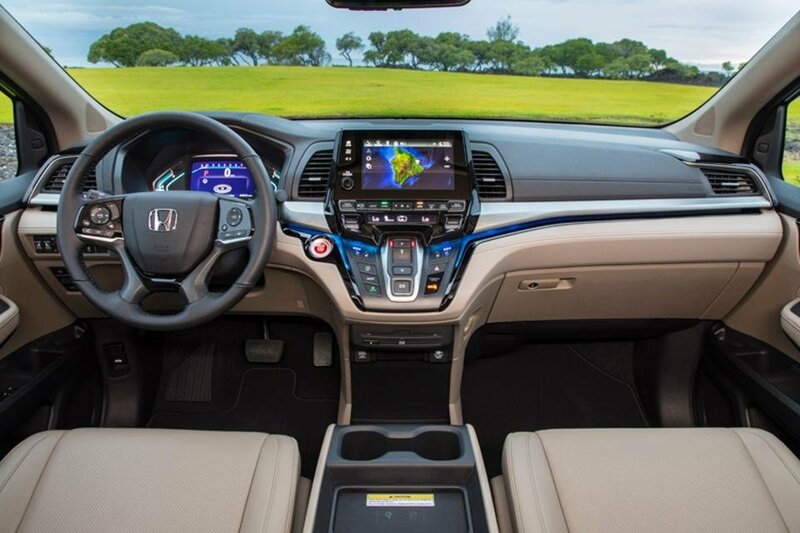 -Offering Honda Sensing, a suite of safety and advanced driver assist features, as standard equipment on most of the trim levels (EX and above). -Cabin Watch so you can view your backseat passengers from your 8inch Touchscreen! -Cabin Talk microphone on higher trims lets the driver address rear-seat passengers at a normal volume, even those wearing the wireless headphones paired to the rear entertainment system. -The Honda Vac which now lets you extend to the front of the cabin. You can also find out more about your 2019 Honda Odyssey Here from Hondapro Jason! *mpg based on 2019 EPA mileage ratings. Use for comparison purposes only. Your mileage will vary depending on how you drive and maintain your vehicle, driving conditions and other factors.